This entry was posted in Research Blogging and tagged carbon cycle, climate change, climate models, education, geoengineering, global warming, ocean acidification, programming, science, sea ice by climatesight. Bookmark the permalink. Is you carry this further, it might be interesting to look at geoengineer concentrated at the poles. 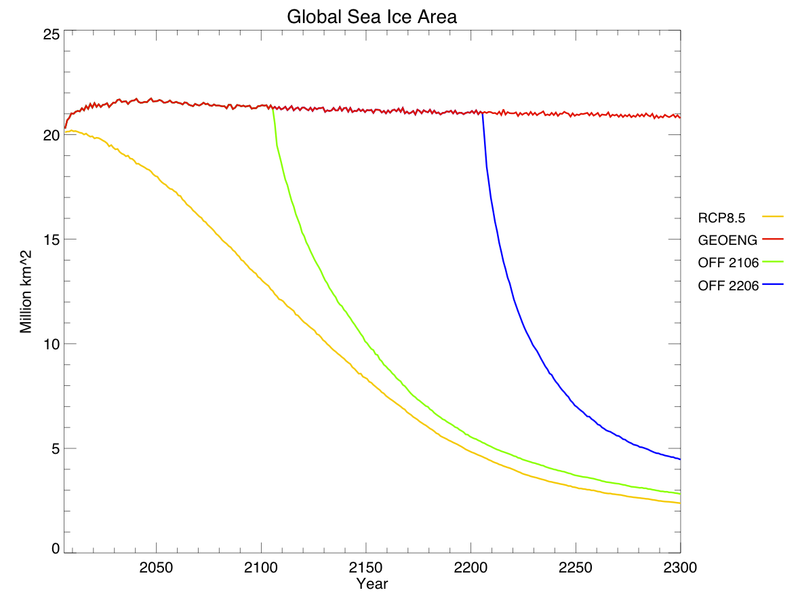 As we learn more about Arctic amplification and permafrost carbon and other carbon feedbacks, it seems like the poles are the key area we may not be able to allow to warm past a certain point. 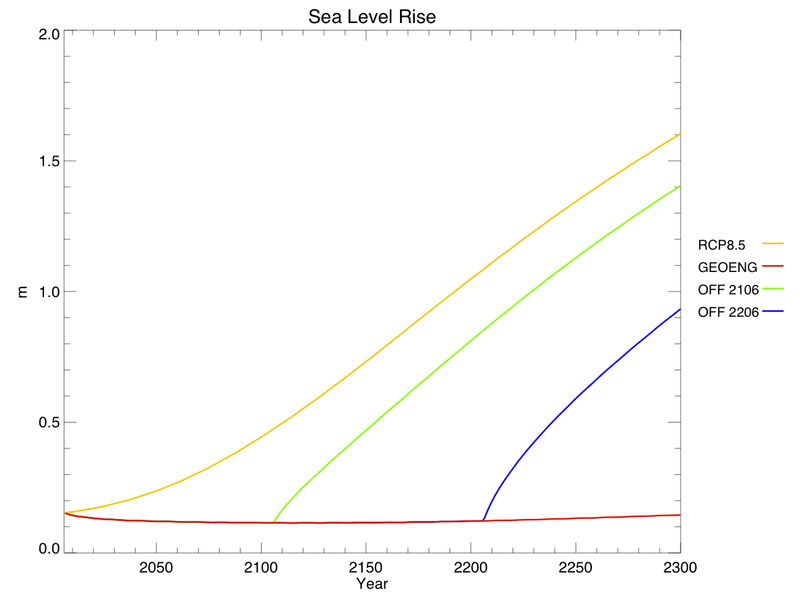 So it would make sense to me, if we had to geoengineer, to start there. That might have added benefits in terms of counteracting the effects of a falling equator-polar temperature differential, including the slowing of the jet stream. Thanks Kate, Lots of computational modeling science to digest here – thank you for pushing the plausibility forward. Question: What’s the difference between flood basalt, a volcano and a Volvo? Perhaps we can model what happens if we remove the Volvo. Is this a deterministic model? 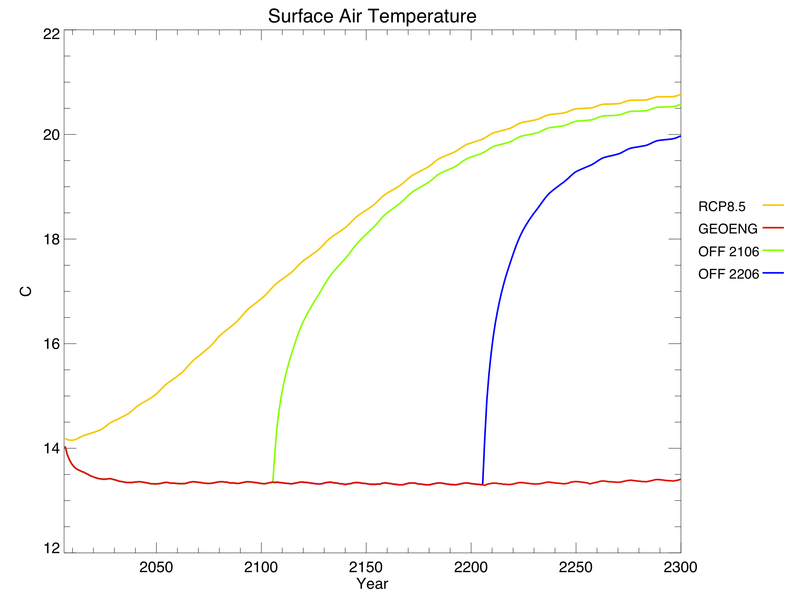 Yes, as are most climate models today. A good piece of warning to anyone overly SRM-enthusiastic. 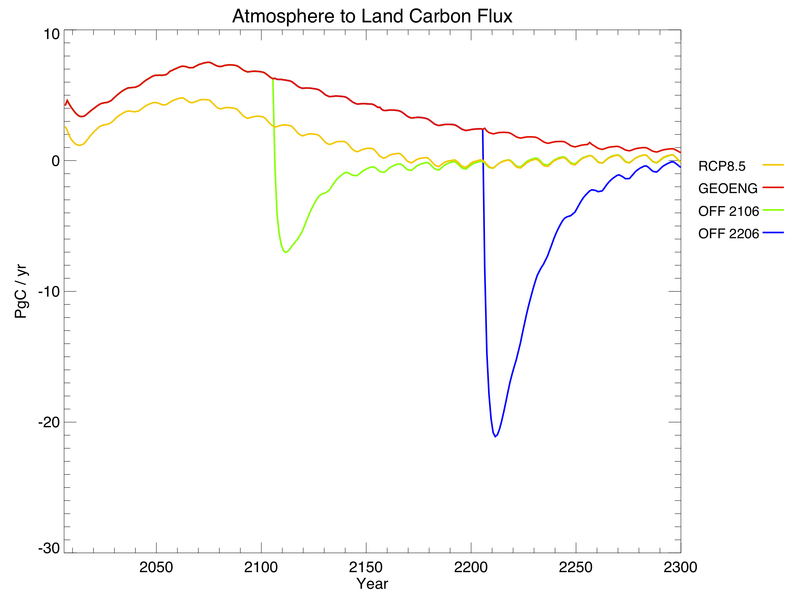 Could you point me to a peer-reviewed article that presents this scenario of large and quick land carbon emissions after shutting down a SRM scheme? I think this should be at the core of SRM discussions in addition to the ‘moral hazard’ discussion! The Matthews and Caldeira paper I cited in the post found the same effect. Would a nuclear war between Iran and Israel have the aerosol effects as well as ensuing oil price increases to solve the problem? I’m interested, perhaps morbidly so, in what happens if a country unilaterally starts a geoengineering project for their benefit, but it happens to negatively impact another country. What happens if both those countries are large powers? Or one is a large power but there are numerous negatively affected other countries? Or a small set of countries embarks on a project to fix their climate, which turns out to create poor food growing climatic conditions in Russia or the U.S.? 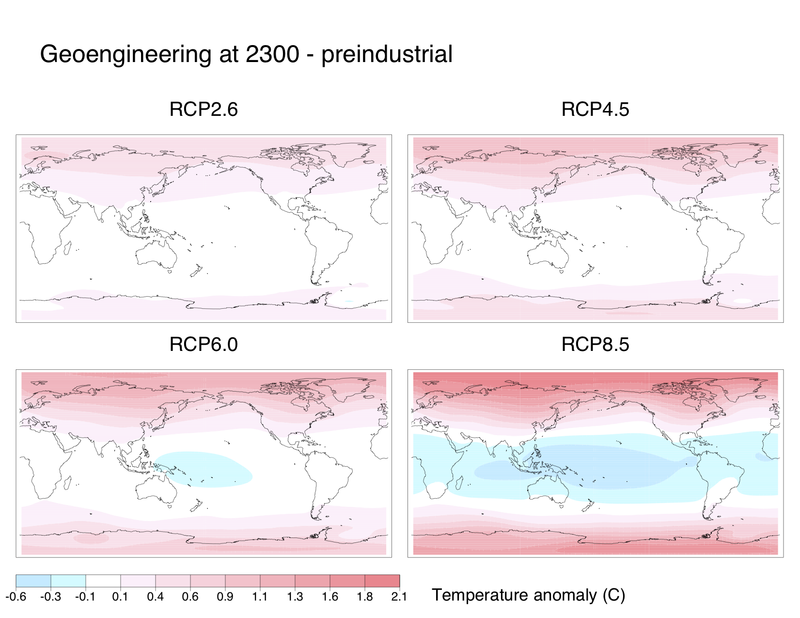 What does rcp stand for and where is a good location to learn about the different emission scenarios and their designations? RCP stands for Representative Concentration Pathway. 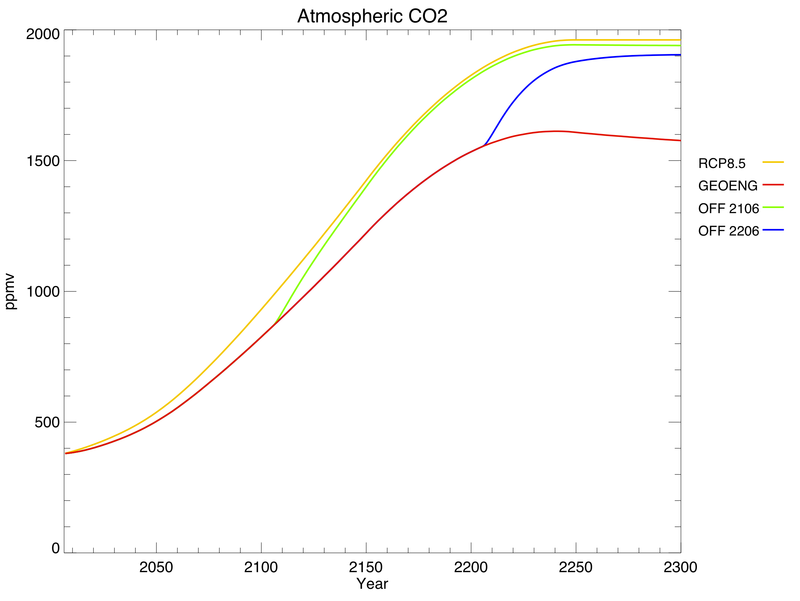 They are a set of four CO2 concentration curves, corresponding to emissions scenarios that range from negative to extremely high. You can read more here. 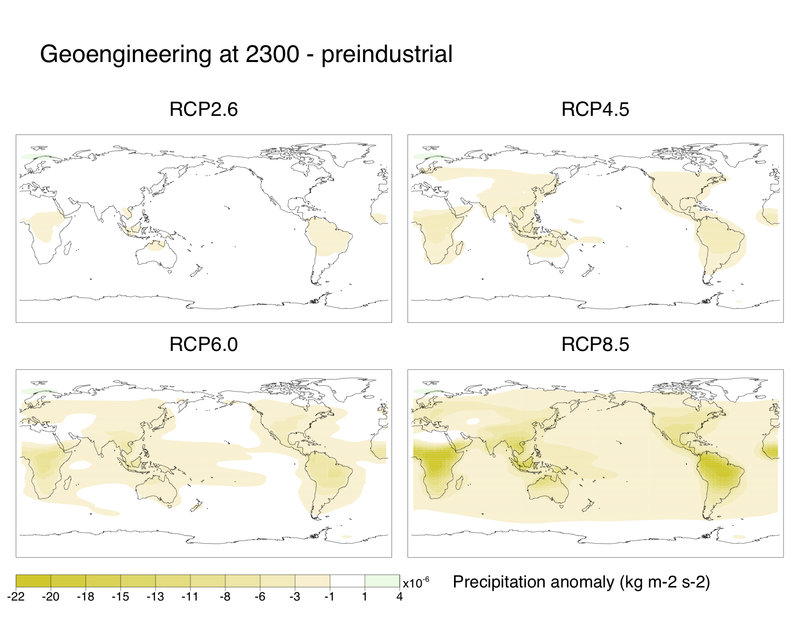 To what extent does increased CO2 lead to reduced water requirements for plants in the temperate zones, and is the effect of CO2 on evapotranspiration part of the model? That’s one way to keep the carbon markets running. China and India are laughing all the way. My tuppence says no, simply because the profit incentive will encourage businesses in the field of geoengineering to welcome (and perhaps even actively encourage the creation of) situations that require their solutions. I cite as example the rejection as ‘unsustainable’ (sic) potential solutions to our current problems that would entail ‘damage to the economy’ — as in, for instance, redesigning public transport such that it wouldn’t entail individuals driving heavy metal boxes. Fascinating stuff Kate – and very good to see published on a public forum. 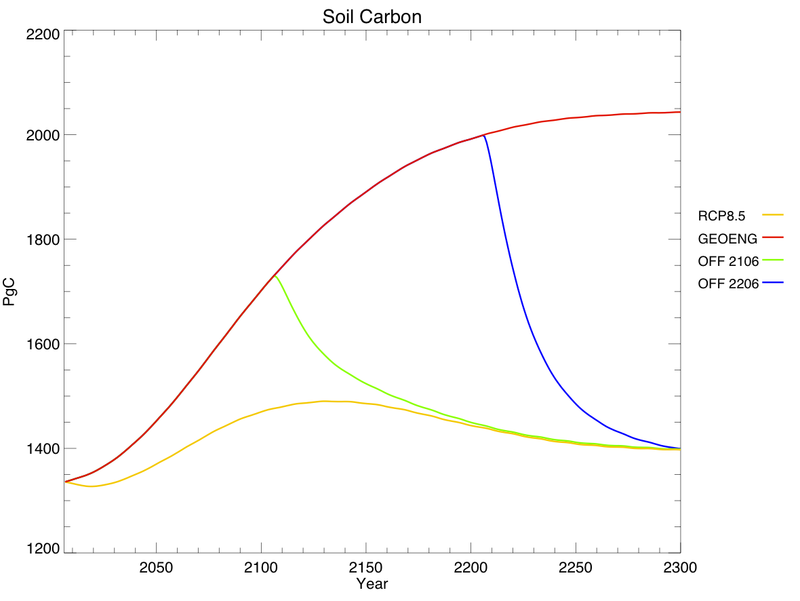 If and when you get the chance for further exploration of the potentials, how about running a set with both carbon recovery and albedo restoration programs ? Given the risk of the latter being terminated unexpectedly, in practice the inclusion of the former would be a moral imperative as well as a strategic insurance – so modelling them together would seem rational. The potential scale of carbon recovery via productive afforestation has been much understated thus far – felling trees is distinctly unpopular in some quarters – but the resources and yields are pretty clear. A study by WRI & WFN identified 1.6GHa.s globally as available for afforestation with native species without impacting farmland. This could, after two or three decades of establishment as coppice forestry, yield around 13GTs dry wood per year for village scale processing to charcoal, using basic 35% efficient retorts, thus yielding around 4.5GTs charcoal/yr. Beside the sale of primed charcoal as a soil fertility enhancer and soil moisture regulator, about 28% of the wood’s potential energy is released in the form of a crude wood-gas, which is readily converted to methanol or other liquid fuels, thus assisting the economics of this option. While significant additional feedstock is available from farm wastes etc, it is far more dispersed in origin and so harder to assemble in economic quantities. Mobile retorts might perhaps help resolve this issue, but the yield would still be minor compared to that from coppice forestry. With regard to albedo restoration (which title in my view offers a far easier public acceptance than the technical ‘solar radiation management’) might I put in a word for cloud brightening as a focus of modelling ? Its clear advantages of local or regional targetting (e.g. 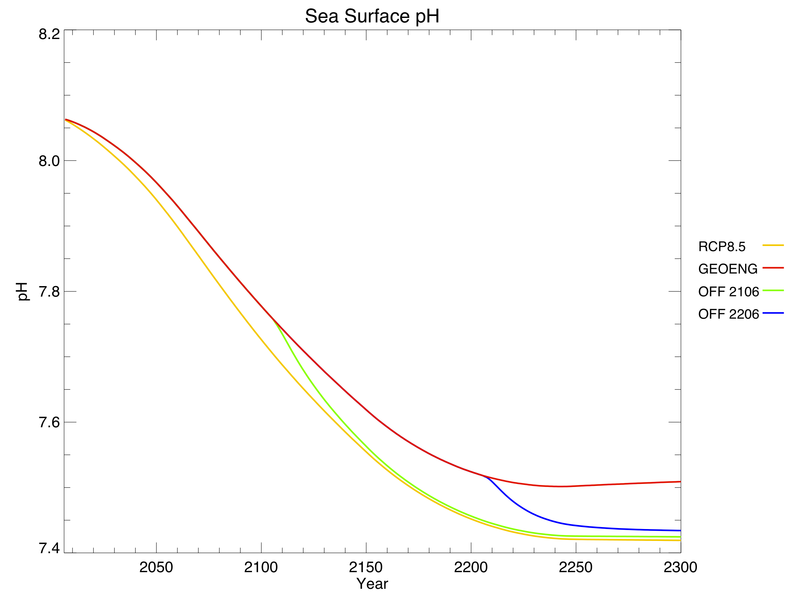 over the arctic or NE Atlantic in summer), of using harmless seawater (rather than sulphates) which then rains out within about 9 days (rather than 2 years) would seem to make it a far more promising option for both official and public acceptance, and thus well worth modelling. As an evaluation of the combined effects of the most promising options for geo-engineering, I’d venture to suggest that if you were to undertake such research it would plainly be original enough to warrant publication, though I trust that you’d also be able get it to the public via your excellent site.